Prepare for Davening before services begin on Shabbat morning, through an enlightening class on Chassidut. The insight and perspective provided by Chassidic teachings adds a completely new dimension on the Shabbat and holidays. Given by Chabad House’s Director Rabbi Dovid Katz, the class covers an array of topics discussing the very foundations of Judaism. The class is based on the Talks and Discourses of the Lubavitcher Rebbe Rabbi Menachem Mendel Shneersohn. A great way to start your Shabbat morning. 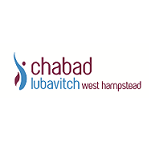 9:30 – 10:00 at Chabad West Hampstead.